This year we want to make Physiopedia GREAT! We can’t do this on our own, we need your help. 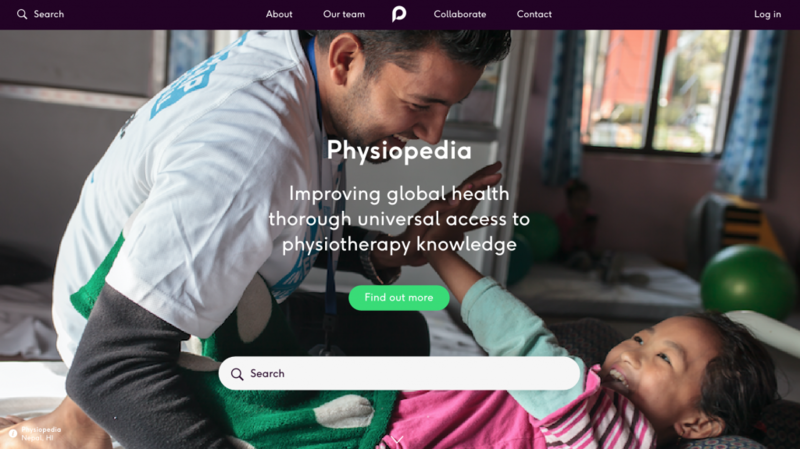 In 2017 we want to update the Physiopedia site with a modern clean design that is compatible with mobile devices and is easier to use, we also want to offer more free courses. This year, for the very first time, we’re asking you to help us. Please consider a one-off donation to support these projects. We often hear reports of people saying that Physiopedia is making a lot of money, this simply isn’t true. Physiopedia is a small non-profit organisation run by a committed group of people most of whom volunteer their time. There is a small group of the team that do receive remuneration but they still volunteer at least half of the time that they contribute to the project. These voluntary contributions have enabled us, as a team, to create the largest and most used physiotherapy and physical therapy resource in the world. Many of our users have no other access to professional development resources and so rely on the resource and courses that we offer to provide good patient care. We have always made an effort to support the project financially in a moral and ethical manner that the profession is happy with. To protect our independence and the user experience we never display adverts on Physiopedia. We haven’t received any funding from wealthy organisations, foundations or investors. Physiopedia belongs to you, our physiotherapy and physical therapy community, and your access to the Physiopedia website will remain free to all users forever. If Physiopedia is useful to you, take a minute to help us by donating whatever you can today. Please help us forget about fundraising and get back to building Physiopedia. another free online course to be delivered in September 2017. The Physiopedia website is now nearly 10 years old and pretty out of date, as websites go these days. In 2017 we want to update the Physiopedia site with a modern clean design that is compatible with mobile devices and is easier to use. This will be a massive help to all our users who only have mobile devices to access the site, many of these users are in low resourced settings where Physiopedia offers enormous assistance to good patient care. Here’s a sneak preview of our brainstorming…. We love running our free online courses and are proud to have provided free education for over 10,000 physiotherapists and physical therapists around the world over the past 3 years. Think about the impact that has on the health of the communities that each of those clinicians works with! The free courses that we run are only partially funded by partnering organisations and so are a massive drain on our resources. Unless we can find other sources of funding to continue to offer these free courses we may struggle. Have you attended one of our free courses? Did you find value in it? Maybe you could consider helping us develop and deliver more courses this year. Quote from participant from the 2016 Cerebral Palsy course. 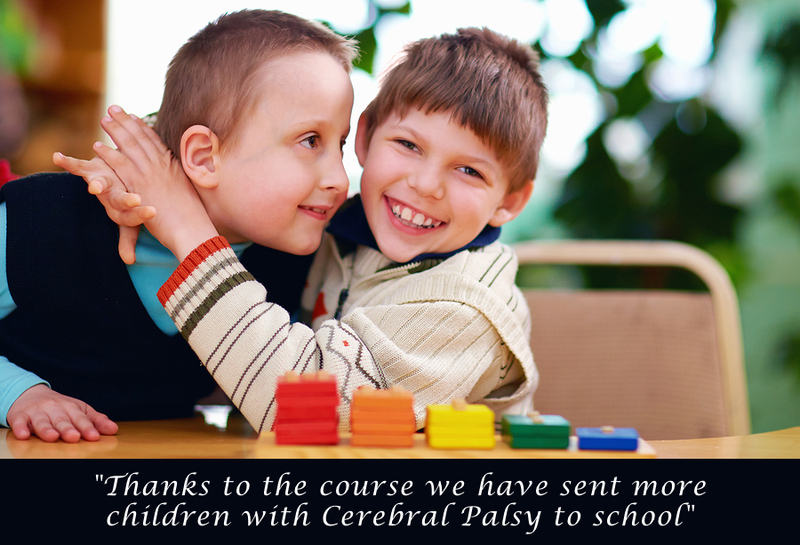 We loved hearing that one of our courses had given a team of physios the confidence to send children with Cerebral Palsy to school. Our courses do make a difference! If Physiopedia is useful to you, take one minute to help us by donating whatever you can today. Please consider a one-off donation to support these projects. Help us forget fundraising and get back to Physiopedia.